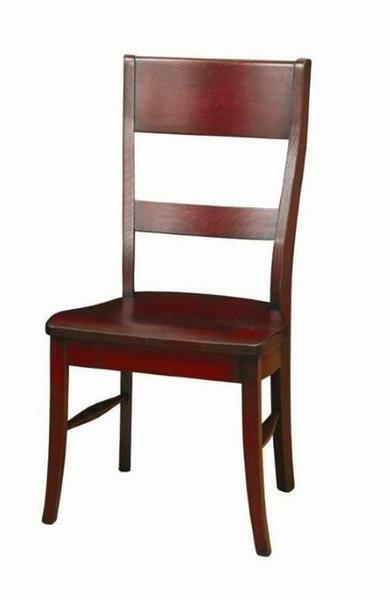 The Amish Columbus Dining Room Chair is leggy and lively! This handcrafted chair is Amish made in Ohio and features a wide top band and slender lower band in the back. The legs are slender and have a slight outward curve in front. The seat is scooped just the way you like it with a standard scoop or a deeper profile scoop available. New dining room chairs like these will never have to be replaced. You've found the quality you've been searching for with Amish made furniture. We would love to assist you and can offer help via email or phone. Thank you for shopping DutchCrafters for your new dining furniture. Height from floor to top of back: 40 ½"